I always forget that this card is in SVGCuts Gingerbread Chalet Village kit. I think it's so cute, I added a cuff on it, I originally was going to add a piece of candy but totally forgot, oh well! The paper and love element is from Echo Park's Tis The Season collection. 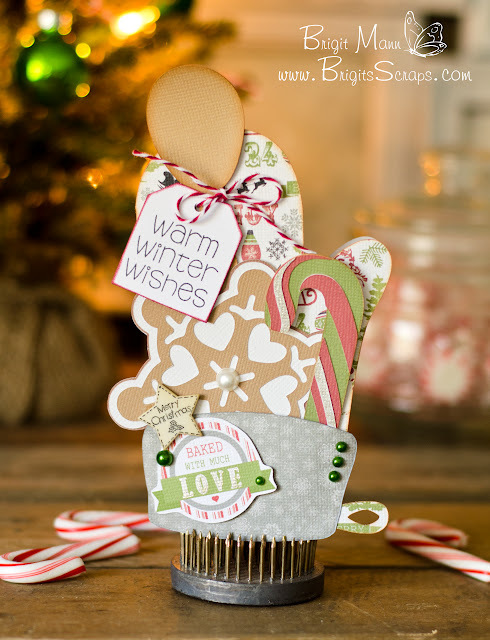 The stamped sentiment is from Jaded Blossom's Winter Wishes, Trendy Twine is Peppermint Stick and the cute little Merry Christmas button is from Buttons Galore and More.